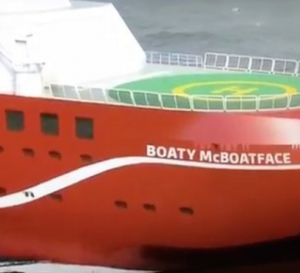 Yes, the whole Boaty McBoatface thing has now entered the language space too. Boaty McBoatface: Your future of translation may lie in machine learning and related technology. I wonder could Parsey McParseface have a role in determining if a translation was correct or incorrect, given the context (or as the UK’s Daily Telegraph newspaper would so earthily have it, act as a “bolloxometer“)? Whither the QA or real-time interpretation possibilities. This is all fascinating stuff sure, and definitely machine learning is a driver of smart user experiences, along with other areas. The Globalization, Internationalization, Localization, and Translation (or GILT) industry needs to be onboard with these emerging technologies and explore their possible application. It’s the kind of thing I had intended to talk about at Localization World 31 in Dublin (yes, I even included Parsey McParseface). Alas, personal circumstances intervened and I did not speak. Some other time perhaps. 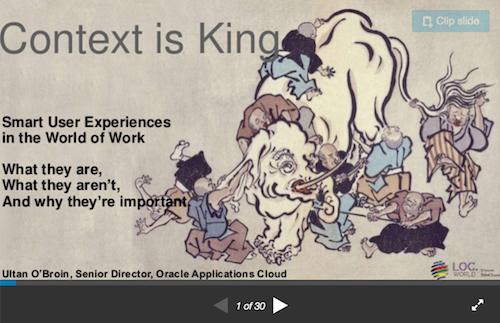 In the meantime, I am sharing the slides I had intended as a backdrop to the discussion. Perhaps they will help you orient yourself to the differences between machine learning, artificial intelligence, NLP, Big Data, robots, and more. They may even help you figure out if you have a future in the GILT industry and what that might look like.